Since its introduction for 1993, Subaru’s Impreza has stood out in the compact class as being one of the few – and in many years, the only – member to offer all-wheel drive. And since 1997, AWD has been standard. During its tenure, the Impreza has gone through five design generations; 2017 brings its sixth, the first to be built in the U.S. With it comes slightly larger dimensions, a bit more power, fresh but familiar styling, and a host of new infotainment and safety features – some arriving as standard. Impreza is offered as both a hatchback (shown) and a sedan. Despite being 6.5 inches shorter and $500 more expensive, the hatchback — opposite of most other compacts that offer both — is far more popular. Today, Impreza’s only AWD compact rivals are the Mitsubishi Lancer and Volkswagen’s Golf Sportwagen and Alltrack. 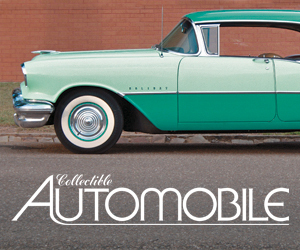 The first comes only as a sedan, the other two only as station wagons. Impreza has always come as both – at least, if the “wagon” description also applies to a hatchback (which is kind of a short wagon). Both body styles host all available trim levels, which this year include base 2.0i, Premium, Limited, and new Sport. The last includes 18-inch alloy wheels, firmer suspension tuning, a torque-vectoring system that helps guide it with more stability through fast turns, and special trim that includes aluminum pedals, black grille, body-colored side trim, and – on sedans – a rear spoiler. Adding an inch to the wheelbase and roughly the same to overall length and width has resulted in about an inch more rear-seat legroom, enough to allow 6-footers to sit in tandem with plenty of headroom. Notable is that the height-adjustable driver seat can be raised far up, a boon to shorter drivers. Also note that the sedan is 6.5 inches longer than the hatchback. Even with the increased dimensions, Impreza remains well within the compact category, sitting about mid-pack in terms of size. And despite coming with all-wheel drive, Impreza’s EPA fuel-economy estimates – ranging from 27 city/35 highway to 28/38 – likewise sit in the middle of the range spanned by front-drive competitors. Aiding in that achievement is a revised 2.0-liter engine – the same size as before – with enhancements that bring four more horsepower (now 152), along with a CVT automatic transmission with a wider ratio spread. Together they provide for what Subaru says is better acceleration along with improved fuel economy. The CVT is standard on the Premium and Limited, optional in place of a 5-speed manual on the base 2.0i and Sport. Two of Impreza’s strengths are shown here: thin roof pillars that allow for great visibility, and a control layout that includes numerous buttons and knobs for easy adjustment. We haven’t had an opportunity to confirm the performance claims, but based on our preview drive, the Impreza feels reasonably spritely. As with most small-engine/CVT transmission combinations, the car doesn’t exactly bolt off the line in a full-throttle start, but it moves away well enough. Also, the transmission kicks down fairly quickly when the throttle is floored at speed, with acceptable acceleration once it does. We haven’t yet had the opportunity to test one with the manual transmission, which Subaru says will likely make up only 10 percent of volume. Our southern California drive route provided some unusually rough pavement to test what Subaru says is a revised suspension and a substantially stiffer structure. Indeed, the combination showed its mettle by providing a solid, fairly supple ride with fine handling, and the quicker steering used on the ’17 models gives the car a nimble feel. We only drove Premium and Limited models, the latter with 17-inch wheels and tires that seemed to enhance cornering response vs. the Premium’s 16s, but with a bit stiffer reaction to bumps. We didn’t get a chance to drive the even sportier Sport model. Furthermore, noise levels seem lower than with the previous version. There’s still some engine “thrash” under hard acceleration, but it’s far less than it used to be, and isn’t any worse than average for the class. Wind noise was also low, and bumps produced only a muted thump. One “feature” we are glad to see didn’t suffer as it has with many other cars of late is visibility. 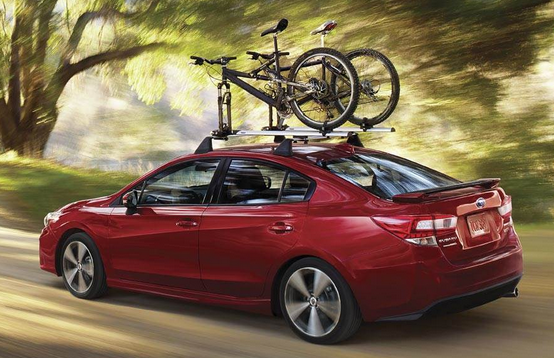 Impreza maintains its traditional thin roof pillars that block less of your view, and a rearview camera is newly standard. I, at least, count this as a true Impreza strength. All trim levels of both body styles come with roof rails that can mount roof racks. But perhaps just as impressive is the Impreza’s control layout. With all the new infotainment features offered for ’17, it would have been easy for the new car to suffer (as many rivals have) from trying to cram too many functions into multiple layers of a touchscreen. 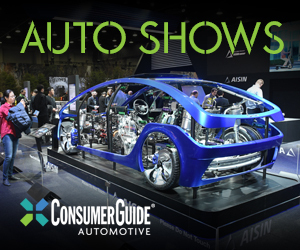 Instead, Subaru went “old school” by including volume and tuning knobs along with physical buttons for basic functions; others are handled through the touchscreen, but they’re far easier than most to decipher and use, with less necessity to “drill down” through layers of screens. Even to some of us who have followed its progress over the years, it’s a little surprising how far technology has come – and come down. Features that were found only on high-end cars just a few years back are now offered on inexpensive ones – and increasingly, are expected. 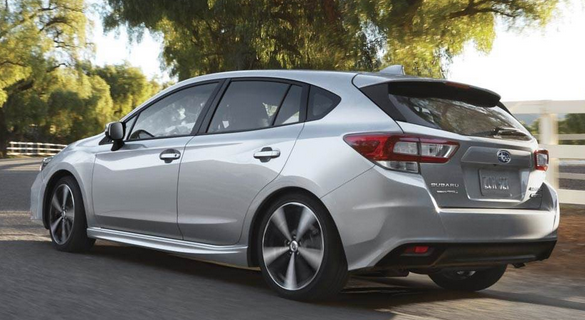 As a result, each new generation of cars brings more features, and the new Impreza is no exception. Newly standard on the already well-equipped base Impreza are a rearview camera and 6.5-inch touchscreen, along with Apple CarPlay/Android Auto, Bluetooth cell-phone link, and Pandora capability. Added on the Premium are such items as Subaru’s STARLINK Connected Services assistance system (emergency assistance, collision notification, roadside assistance), heated seats/wipers/outside mirrors, automatic headlights, and steering-wheel paddles to manually shift the CVT transmission. Optional are a power moonroof and the company’s EyeSight suite of safety features, which includes forward collision warning and mitigation, lane-departure warning, lane-keep assist, and adaptive cruise control, along with — new for ’17 — blind-spot and rear-cross-traffic alert, rear-obstacle detection with automatic braking, adaptive fog lights that turn with the steering wheel, and a tire-pressure monitor that gives individual pressure readouts for each tire. From there, one can branch out to either the Sport or the luxury-oriented Limited. Added on both are an 8-inch touchscreen, CD player, voice-activated controls, text messaging, satellite radio, Travel Link, and added apps. The Sport also includes the performance items mentioned previously, while the the Limited adds leather upholstery, automatic high beams, adaptive LED headlights, and tire-pressure monitor with individual readouts. Optional on both are a power moonroof and EyeSight, while the Limited gets an available navigation system. Interiors boast numerous padded surfaces (though some padding is wafer thin), subtle but decent-looking trim, and an available two-tone color combination. Storage is decent, with a small glovebox, large forward-console bin with 12-volt outlet, two cupholders, a small console box with 12-volt/Aux/2 USB plugs, and small map pockets with cupholders in the doors. The easy-to-use audio controls we already mentioned, and they’re joined by equally handy three-dial climate controls. Although the folded rear seat backs lie about two inches above the level of the cargo deck, a ramp allows longer items to be easily slid all the way forward. 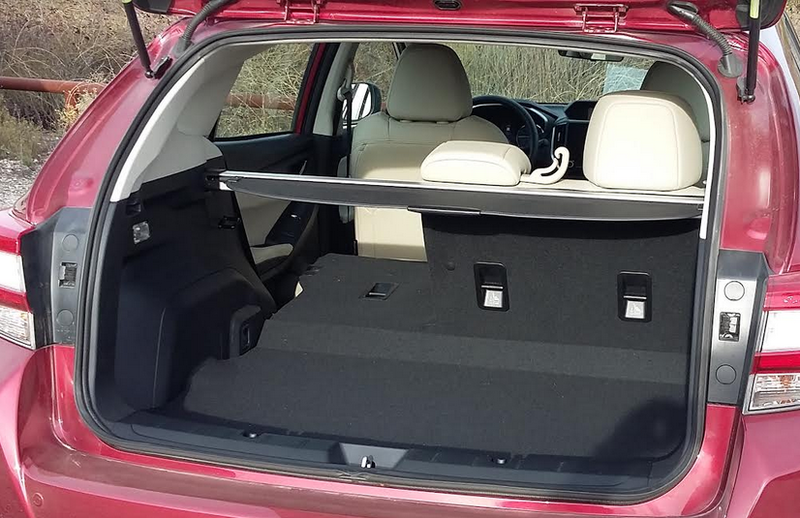 Both models have folding rear seat backs that rest a couple inches above the cargo floor when folded, but there’s a ramp bridging the gap that should allow long items to be easily slid forward. The cargo area is wide at the rear, but the “indented” area is larger on the longer sedan, which also adds some underfloor storage. Notable is that both body styles come standard with roof mounting rails for roof racks. Contrary to the norm for compacts offering both a hatchback and a sedan, Subaru says the hatchback far outsells the sedan in the Impreza lineup — even though it costs about $500 more in each trim level, the most popular of which is expected to be the Premium. While the base 2.0i with manual transmission starts at $19,215 including the $820 destination charge ($1000 more with the optional CVT automatic), the Premium — which comes standard with the CVT — starts at $22,015. Add the EyeSight package for $1395 (which you really should, as it’s a safety and convenience bargain), and you end up at $23,410 for the sedan, $23,910 for the versatile hatchback. Meanwhile, the Sport starts at $22,815 and the Limited at $24,915; load the latter to the gills (EyeSight, moonroof, navigation system, high-end Harman Kardon audio system, etc.) and it comes to $28,760 for the sedan, $29,260 for the hatchback. The 2017 Impreza is on sale now, though manual-transmission models aren’t due to arrive until January or February. While Impreza’s primary attraction has long been its available all-wheel drive, that’s no longer the only reason to buy one. Overall, it’s at least class-competitive in space, fuel economy, and driving dynamics, but stands out for its great visibility, sensible control layout, and full range of safety and convenience features. So if Impreza hasn’t previously been on your compact-car shopping list, it really should be now — even if you feel you don’t really need the traction advantages of all-wheel drive. Impreza is not just about all-wheel drive any more. The redesigned 2017 sedan and hatchback offer a lot for the money, along with numerous safety features that are rare in the compact class. Written by: Rick Cotta on December 12, 2016.on December 13, 2016.